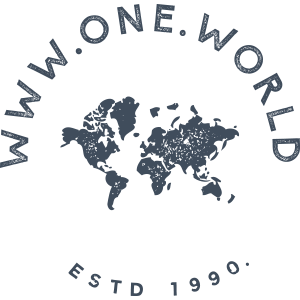 Here at One World, we believe in thoughtful gifting, especially when it comes to Mother's Day. 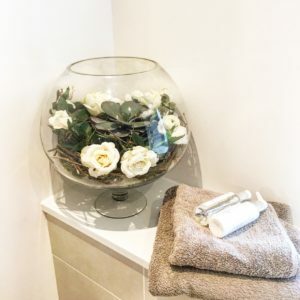 And nothing is quite as thoughtful as flowers and a beautiful vase to put them in - let's face it, you can never have too many of either. This Mother's Day, why not treat your lovely Mum, or special Mum-like figure in your life, to some beautiful, zero maintenance flowers? We're talking faux, fake, artificial, whatever you like to call them, they make the perfect gift to say 'thanks... for being you'. 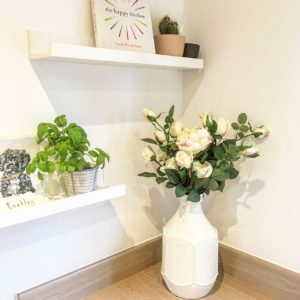 Faux flowers are definitely having their ‘season’ and make a great low-maintenance alternative to fresh flowers. 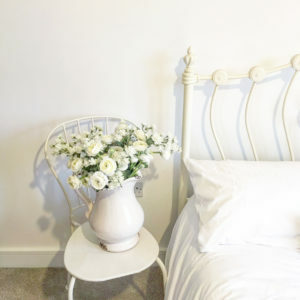 From being able to bunch out of season florals to never having to water them, they are ideal for the non-green fingered and flower-lover alike. 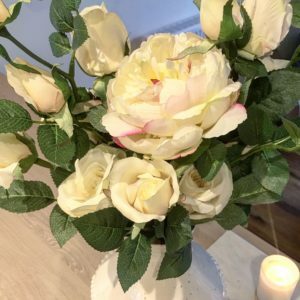 Here are some of the arrangements we’ve put together and some top tips on how best to style your faux florals. You can display faux flowers anywhere in the home, so there’s no need to worry about it being too warm of too light. How gorgeous do these mixture of white Rannuculus and Astrantia look in our Birkdale jug? 2. 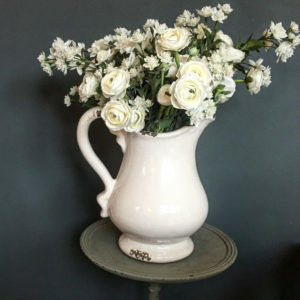 Make sure you choose the right shape vase or jug to not only make your flowers look their best but to create a really realistic display. 3. Bring a touch of the outdoors in with a few stems of blush rosebuds. Sometimes less is more and these look perfect in our Albany bottle vase. Ideal for brightening up a dressing table or chest of drawers. 4. Greenery is a great way to add colour and an on-trend botanical look to a room – perhaps your Mum would prefer a bolder statement in her home? 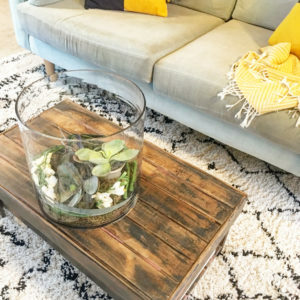 Moss, succulents and big hurricane vases make a great centrepiece. 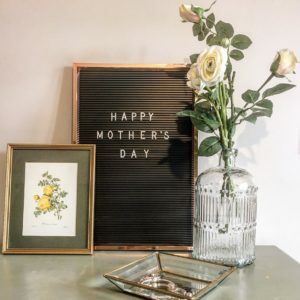 So, if you’re looking for a thoughtful, unique, and spring-like gift this Mother’s Day, say it with faux flowers! House plant heaven The trend for plants in the home seems to be gaining momentum, and it's now time to super-size! We share inspiration for how to style your large plants indoors.